The raspberry is the edible fruit of a multitude of plant species in the genus Rubus of the rose family. Raspberries are an important commercial fruit crop, widely grown in all temperate regions of the world. The raspberry is the edible fruit of a multitude of plant species in the genus Rubus of the rose family. Raspberries are an important commercial fruit crop, widely grown in all temperate regions of the world. 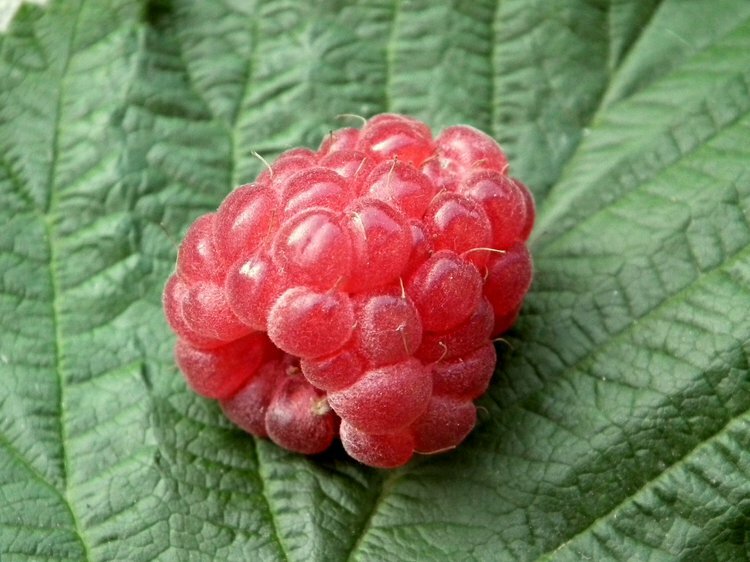 The red raspberry cultivars derive from hybrids between R. idaeus and R. strigosus and are the most common commercial type. Other types like the black raspberry (Rubus occidentalis) is occasionally cultivated in the United States. An individual raspberry weighs between 3 to 5 grams and is made up of around 100 drupelets, each containing a juicy pulp and a single central seed. Here are the 7 health benefits of raspberries. 1. Raspberries may help improve digestive health. Raspberries contain a high amount of dietary fiber with 8 grams per cup. Fiber aids prevent constipation, making one’s bowel movement easier to manage. The daily recommended dietary fiber intake for men and women are 38 grams and 25 grams, respectively. 2. Raspberries can help you maintain your blood sugar levels. The glycemic index ranks food and drinks based on their blood sugar increase potential. Foods high on the glycemic index like white rice and white bread will break down easily and cause blood sugar and insulin level spikes after meals, which is followed by rapidly dropping blood sugar levels. The sugar from raspberries is slowly absorbed into the bloodstream, which prevents sugar crashes, sugar cravings, and mood swings. 3. Raspberries can help maintain a healthy blood pressure. Raspberries are loaded with potassium and a low content of sodium. They are well known because of its high potassium content. One cup of raspberries contains 186 milligrams of potassium, compared to 1.2 milligrams of sodium. This helps the blood vessels relax and maintains proper blood pressure. 4. Raspberries can help improve the heart’s health. Fiber, vitamin C, vitamin B6, and potassium have been known to improve the heart’s health. The recommended 4,700 mg of potassium is not obtained by many individuals in the United States, according to the National Health and Nutrition Examination Survey, despite the benefits of increased potassium intake. One study suggested that individuals who consumed 4,069 mg of potassium per day had a 49 percent lower risk of death from ischemic heart disease compared with those who consumed less potassium approximately 1,000 mg per day. 5. Raspberries may help improve brain health. Several components of raspberries, such as potassium, folate, and various antioxidants are known to provide neurological benefits. Folate has been known to reduce the occurrence of Alzheimer’s disease and cognitive decline. Potassium has been linked to increased blood flow to the brain and enhances cognition, improves concentration, and increase neural activity. 6. Raspberries can help individuals fight infections. One cup of raspberries contains 54 percent of the vitamin C daily requirements. Vitamin C is a potent natural water-soluble antioxidant that helps the body develop resistance against infectious agents and eliminates cancer-causing free radicals in the body. Also, raspberries are an excellent source of ellagic acid. Ellagic acid is a phytonutrient that rapidly disrupts the growths of certain types of bacteria and fungi in the body. Lastly, the anthocyanins in raspberries are responsible for their unique antioxidant and antimicrobial properties. 7. Raspberries help improve eye health. Raspberries contain the antioxidant zeaxanthin, which has been known to help protect the eye from macular degeneration. Li, T. M., Chen, G. W., Su, C. C., Lin, J. G., Yeh, C. C., Cheng, K. C., & Chung, J. G. (2005). Ellagic acid induced p53/p21 expression, G1 arrest and apoptosis in human bladder cancer T24 cells. Anticancer Research, 25(2A), 971-979. Narayanan, B. A., Geoffroy, O., Willingham, M. C., Re, G. G., & Nixon, D. W. (1999). p53/p21 (WAF1/CIP1) expression and its possible role in G1 arrest and apoptosis in ellagic acid treated cancer cells. Cancer letters, 136(2), 215-221. Demmig-Adams, B. (1990). Carotenoids and photoprotection in plants: a role for the xanthophyll zeaxanthin. Biochimica et Biophysica Acta (BBA)-Bioenergetics, 1020(1), 1-24. Landrum, J. T., & Bone, R. A. (2001). Lutein, zeaxanthin, and the macular pigment. Archives of biochemistry and biophysics, 385(1), 28-40.